Medley, FL – On June 15, 2016, All Florida Paper was honored for being recognized among the few distributors that received both the Navigator and O.S.C.A.R. awards at the annual Supplier and Member conference hosted the Strategic Market Alliance, a member-owned cooperative comprised of prominent distributors in North America who provide janitorial, sanitation, and foodservice packaging products and related services. All Florida Paper was recognized as the Navigator recipient for achieving the largest percentage increase in purchases from qualified suppliers in 2015, and the O.S.C.A.R. for utilizing SMA’s sales meeting preparation system most frequently and thoroughly in the sales efforts. As a company “we attribute this award to our organization’s strong partnerships with Dart Container, The Safety Zone and EMI Yoshi, and their support of our mission, customers, and vision for the future” said an Armando Caceres, All Florida Paper President. 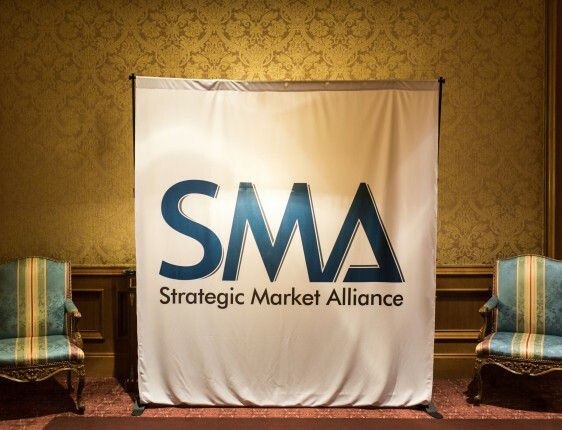 All Florida Paper has been a proud member of the Strategic Market Alliance since 2013 and has seen tremendous growth not just in their own business, but also within SMA. Other companies receiving the awards included Brady Industries, Matera Paper Company, Philip Rosenau Company, and the Sikes Paper Company among others. All Florida Paper is a leading privately held distributor in the United States, supplying paper, food service, janitorial, and chemical products to B2B customers ranging from supermarkets, hospitals, hotels and schools among others. The company also provides redistribution and exporting services throughout 25 countries across Latin America. All Florida Paper was founded in 1993 by Armando Caceres, and is continuously recognized as one of America’s 5000 Fastest Growing Companies by Inc. Magazine, as well as a Top 100 Minority Business.